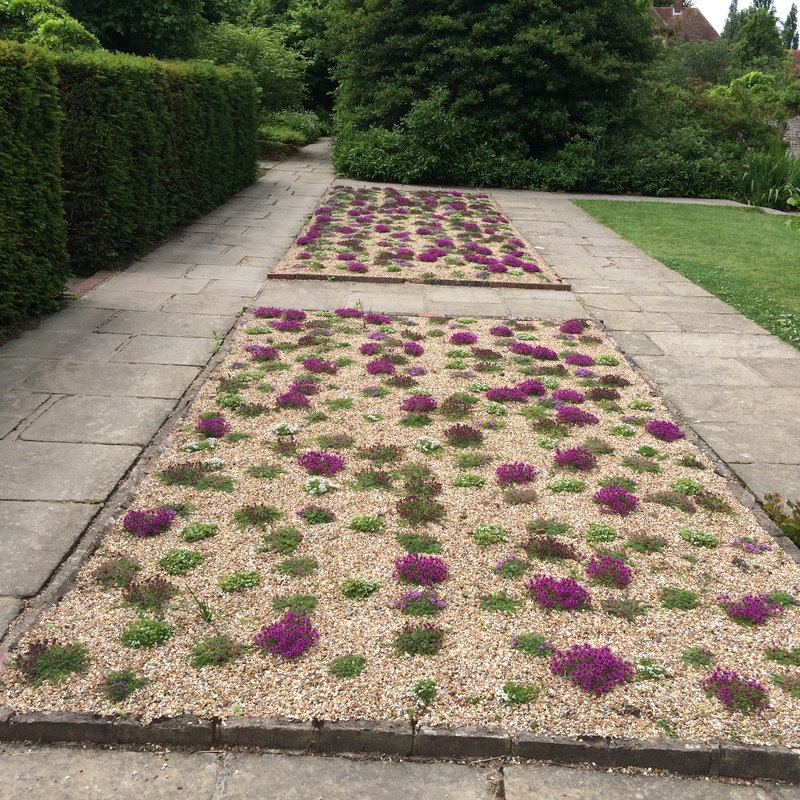 You may remember that I wrote about the replanting of the Thyme Lawns in March of this year. I thought I would just give you a quick update on their progress. Although our summer was slow to start, the warm, and presently very dry weather, did finally arrive. 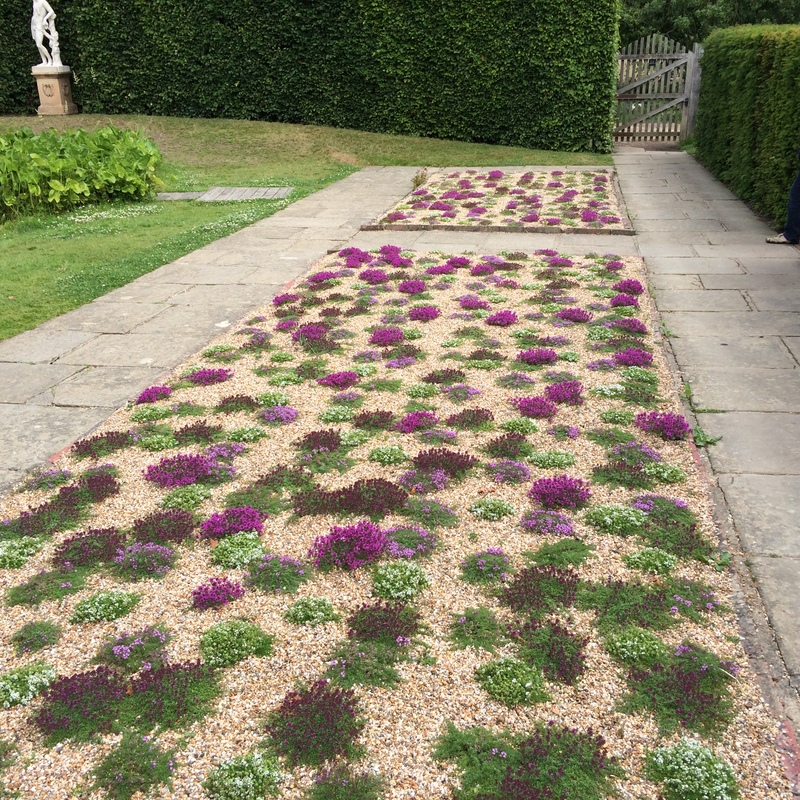 Thankfully the thyme is well suited to these conditions and all the plants are growing strongly, spreading to at least triple their original size. Of the three different forms, the white thyme (also the one with the longest name) T. polytrichus subsp. brittanicus var. albus, is the least vigourous; T. serpyllum and T. serpyllum var. coccineus are roughly the same; perhaps the basic species being very slightly stronger. I suspect that very soon, probably by next summer, all the plants will have met and overlapped, creating a more irregular, interwoven pattern. It’s worth noting that the bed furthest from the beech hedge is growing slightly better than its sister. This is most likely due to the fact that it gets more sun – the other bed being in the shade of the beech hedge in the mornings. 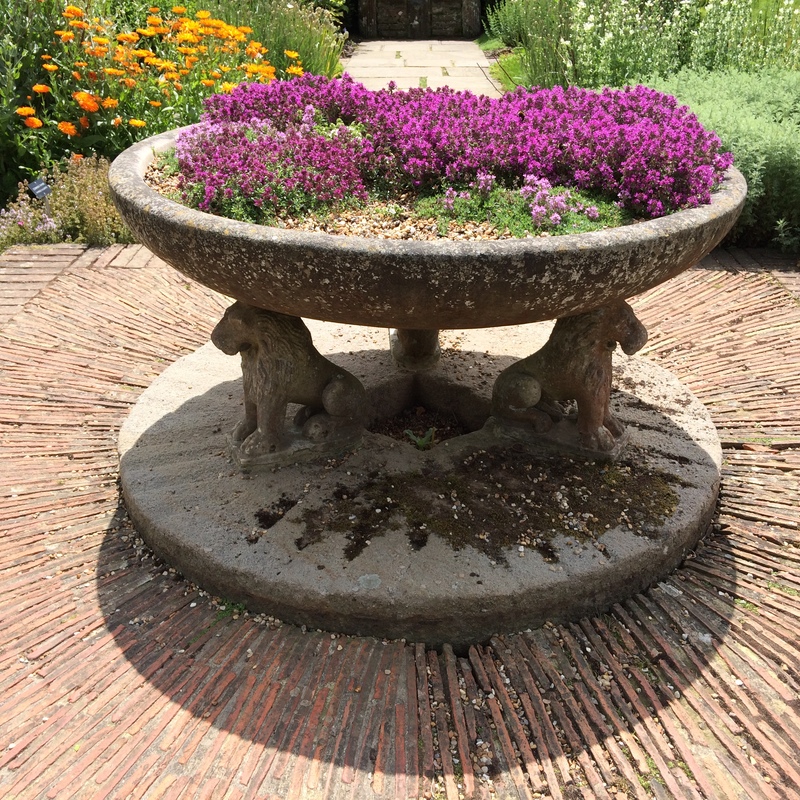 The thyme which I planted in the marble bowl in the Herb Garden were a few of the poorest plants we had, and yet they’ve grown exceptionally well. They’re planted in a very light mix of sharp grit and potting compost, which is closer to their natural growing medium. With the benefit of hindsight, I now wonder whether we should have completely dug out and removed the soil from the main beds down to a spits depth and used a similar mix here. Sadly, I can’t be very positive about the plants I placed in the gaps in between some of the paving slabs. Most of this thyme has not survived the footfall of our visitors – this is of course unavoidable and we were braced for disappointment. 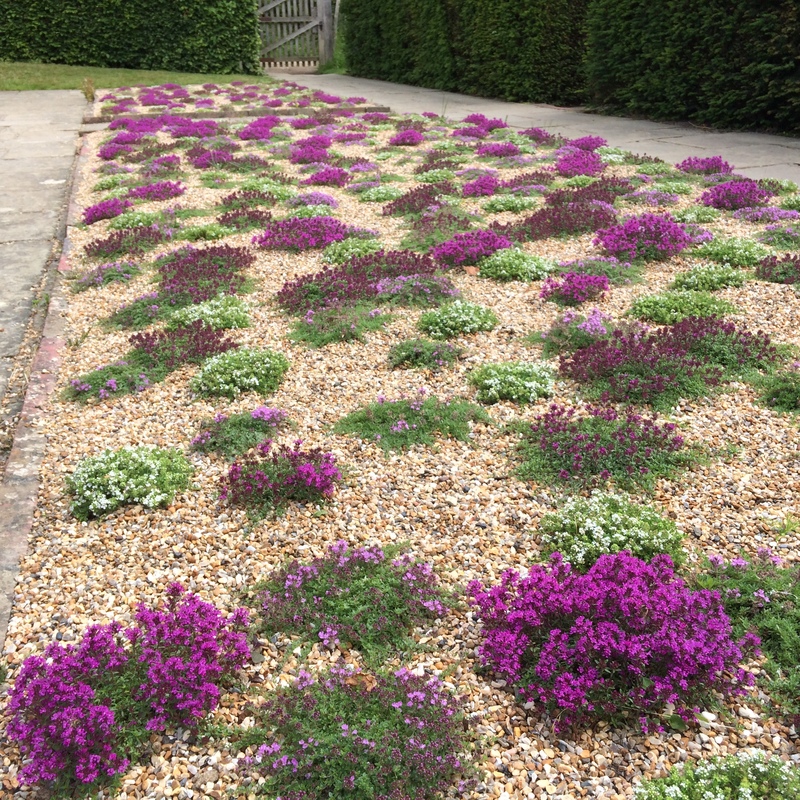 So, thus far the Thyme Lawns are looking promising – but as ever, only time will tell (apologies, couldn’t resist).